This story in our World War I Centennial series is written by Dr. Gordon L. Iseminger, who teaches European history at the University of North Dakota in Grand Forks. His recent research is on the German-Russians of North Dakota’s McIntosh County during World War I. Known first as the Great War, World War I broke out in 1914. Then, as now, the United States was a nation of immigrants. Because many had only recently arrived, their loyalty was questioned. When the United States entered the war against Germany, loyalty became even more of an issue, especially for the country’s Germans. Democrats had campaigned for President Woodrow Wilson’s re-election in 1916 with the slogan, “He kept us out of war.” Wilson’s reluctance to enter the war against Germany was evident in his message to Congress in 1917, when he acknowledged that, “It is a fearful thing to lead this great peaceful people into war, …” Wilson’s warning that people would lose all understanding of tolerance proved tragically correct. That the orchestrated anti-German propaganda campaign was successful can be measured by the dizzying heights attained by silliness. There was a mania for changing names. Hamburgers became “liberty sandwiches.” Sauerkraut was “liberty cabbage.” Dachshunds became “liberty pups.” Children contracted “liberty measles,” not the “German” strain of the disease. Two incidents in North Dakota attest to the anti-German sentiment. John Wishek was charged with violating the Espionage Act, and many wanted to change the name of the state’s capital. Dr. Elwyn Robinson, in his “History of North Dakota,” noted that “the story of John Wishek was the story of McIntosh County.” He was affectionately known as “Father Wishek” by the county’s German-Russian residents. That John was of German extraction told heavily against him. His sensational trial attracted statewide attention. Wishek had acquired wealth, influence and power. He helped organize 35 businesses and owned banks, grain elevators, lumber yards and implement businesses. Acquiring large real estate holdings, he developed many of the county’s townsites, and donated land for every church in Ashley, Wishek, Venturia, and Danzig. He served as county clerk of court, register of deeds, states attorney, representative and senator. In 1912, he was a Republican candidate for governor. His popularity and riches created enemies who wanted to humble and ruin the man they envied, feared and hated. The Espionage Act provided the means. Wishek was indicted and charged for violating that law. Laying the charges was made the easier because Wishek was German and spoke the language fluently. The most damning evidence was a booklet titled “German Achievements in America.” Proud of his heritage, Wishek had purchased and given a half-dozen of the booklets away, unfortunately, one to a relative of a bitter enemy. The booklet was delivered to the Justice Department, an investigation followed, and Wishek indicted. Wishek’s defense team included his trusted friend, Judge William Lauder, and the trial was presided over by federal Judge Charles Amidon, among the leading progressive judges of his generation. Imbued with his father’s humanitarian zeal and known as North Dakota’s “Fighting Judge” for his keen sense of justice, Amidon interpreted the Espionage Act narrowly. He refused, for example, to accept as evidence actions that did not expressly fall under the terms of the act. The longer Wishek’s trial dragged on, the more evident it became that he was being tried, not for disloyalty, but for the purpose of ruining him. 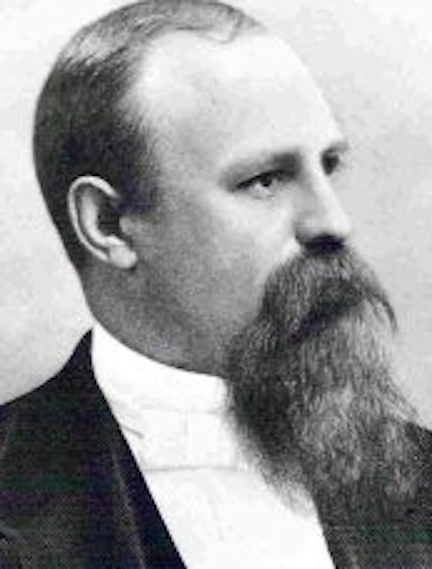 Defense attorneys proved Wishek had purchased more Liberty Bonds than all his business rivals combined. Evidence showed that the questionable booklet was in the libraries of many cities, including New York and St. Paul. Defense attorneys demonstrated how witnesses twisted and misrepresented Wishek’s statements. The jury stood nine to three for acquittal. That the government then dropped all charges goes far in revealing the injustice of the case. It would take more than false accusations and an unwarranted trial to break a man such as John Wishek. Nevertheless, the incident hung over him the rest of his life, darkening his later years. Those who advocated changing the name of North Dakota’s capital city, the second incident noted in this article, were among those carrying anti-German sentiment to an extreme of silliness. After the United States entered the war, the name “Bismarck” was an anathema, considered unfitting. The name conjured up images of Teutonism, Blood and Iron and “Deutschland über Alles.” The city had been named Bismarck to flatter Prince Otto von Bismarck, the German chancellor, and to please German bondholders who bailed out the Northern Pacific Railroad when it went bankrupt in the Panic of 1873. Fortunately, common sense prevailed and the name went unchanged.